Trauma-informed care needs to be the standard of care for IBCLCs says Kathleen Kendall-Tackett, PhD, IBCLC, RLC, FAPA. Trauma-informed care (TIC) is a movement gaining momentum in health care. It’s been adopted by national health organizations, such as the Substance Abuse and Mental Health Services Administration (SAMHSA). It has not been widely adopted among providers caring for childbearing women, but it’s something we need to seriously consider if we want to increase breastfeeding rates and improve mothers’ mental health. Just how common is trauma? Unfortunately, traumatic experiences are remarkably common among women. According to the National Center for PTSD (2015), findings from a large national mental health study show that more than half of women will experience at least one traumatic event in their lives. The most common trauma for women is sexual assault or child sexual abuse, which affects one in three women. Women are also more likely to be neglected or abused in childhood, to experience domestic violence, or to have a loved one suddenly die. One in every nine of these women will develop PTSD. What is the impact of sexual trauma on breastfeeding? Trauma exposure also increases the risk of depression during pregnancy and in the postpartum period. In a study of 374 women recruited from a low-income, inner-city obstetrics clinic, 39% reported experiencing at least one traumatic event (Robertson-Blackmore et al., 2013). The most common events were child sexual abuse, having a close friend or family member experience violence, and unexpected death or illness of someone close. Trauma-exposed women were up to four times more likely to be depressed during pregnancy. Depression during pregnancy can lead to many complications, including preterm birth (Kendall-Tackett, 2017). Women who have experienced trauma are also at risk for being retraumatized in medical settings, which is why health care providers must be mindful of their needs. The Substance Abuse and Mental Health Services Administration (SAMHSA, 2015) has outlined the principles of trauma-informed care. The trauma-informed care makes sense for every patient, and is especially relevant during the perinatal period, when women are particularly vulnerable. Realizes the widespread impact of trauma and understands potential paths for recovery. For perinatal women, trauma increases the risk of depression, anxiety disorders, substance abuse, and PTSD. It may also influence birth outcomes, including preterm delivery and birth-related PTSD. Recognizes the signs and symptoms of trauma in clients, families, staff, and others involved with the system. The perinatal period is a unique opportunity to recognize trauma and its effects. Trauma can be effectively treated, and helping mothers to identify it can be the first step in their healing. Responds by fully integrating knowledge about trauma into policies, procedures, and practices. The effects of trauma are pervasive in the populations we serve. Yet, health care providers often do not recognize its existence or the impact it can have on every area of a patient’s life. IBCLCs can counter this by recognizing trauma and instituting policies and practices that follow the principles of trauma-informed care. Birthing women are at high risk for experiencing medically induced psychological trauma, so much so, that the World Health Organization (World Health Organization, 2014) has issued a statement calling for respectful care for birthing women. During the postpartum period, high levels of oxytocin increase mothers’ bonding with their babies. Unfortunately, oxytocin also increases mothers’ openness, which increases their vulnerability to harsh or indifferent care from postpartum providers (Kerstin Uvnas Moberg, personal communication, July 16, 2017). How mothers are treated can set the stage for either breastfeeding success or failure. If we want to increase breastfeeding rates, gentle care can make all the difference. TIC is an approach designed to address the consequences of trauma and to facilitate healing. Its goal is to make health care safe for trauma survivors. If we want to increase breastfeeding rates, gentle care can make all the difference. A trauma-informed approach reflects adherence to six key principles rather than a prescribed set of practices or procedures. These principles may be generalizable across multiple types of settings. Safety is essential. If a mother does not feel safe, for whatever reason, breastfeeding will not succeed. When mothers do not feel safe, their fight-flight response is activated. This causes the oxytocin response to be downregulated, and can actually stop the flow of milk (Uvnas-Moberg, 2015). Trustworthiness and transparency. Mothers need to feel they can trust their providers, otherwise, breastfeeding will fail. 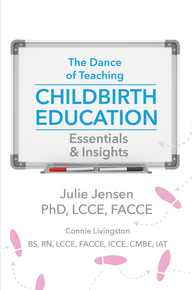 TIC teaches providers how to gain mothers’ trust and work with them most effectively. Peer support has always been an important part of breastfeeding support. It’s right in line with the principles of TIC. Collaboration and mutuality. Mothers must feel that they are working with their health care providers as part of a team. If they don’t, they won’t feel safe. Providers must never grab mothers or force babies to the breast. Fortunately, the lactation field is moving in this direction already, and our change in paradigm is in line with TIC. Empowerment, voice, and choice. All health care providers need to empower patients. Period. When we “help” too much, mothers are left with the belief that they cannot do it on their own. We rob them when we do too much. Help mothers see the competencies they already possess. Breastfeeding can be an important part of the healing process for mothers. 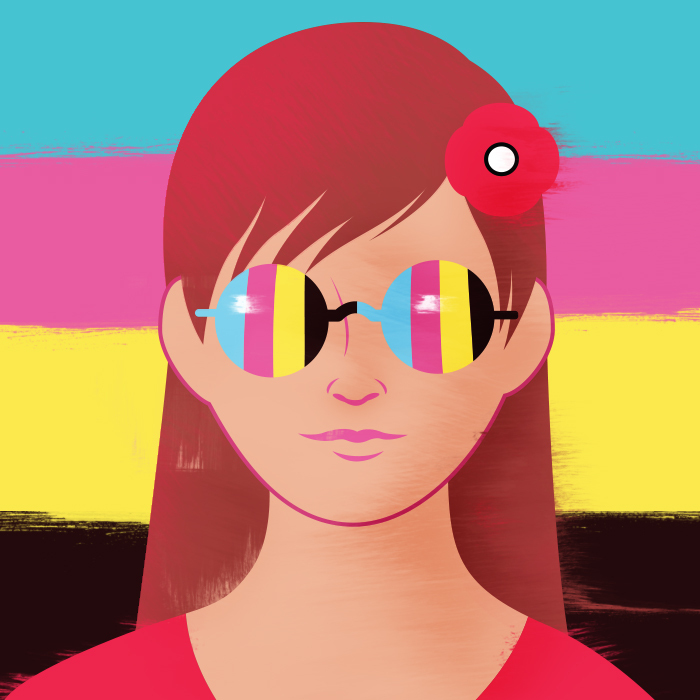 Cultural, historical, and gender issues. We must always recognize that every mother is unique. Listen. Ask questions. And assist where you can. Some of my colleagues have suggested that “cultural humility” is a better term than “cultural competence.” I agree. It implies an openness and willingness to learn what the families need, not what we think they need. Fortunately, our field is moving in this direction also. According to SAMHSA, health care providers can promote the linkage to recovery and resilience for people impacted by trauma. TIC is an excellent model of care and one I hope we adopt as a comprehensive approach to breastfeeding support. Kendall-Tackett, K. A. (2017). 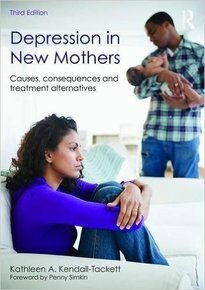 Depression in new mothers, 3rd Edition. Abington, UK: Routledge. Uvnas-Moberg, K. (2015). Oxytocin: The biological guide to motherhood. Amarillo, TX: Hale Publishing. Dr. Kendall-Tackett is a health psychologist and International Board Certified Lactation Consultant, and the owner and Editor-in-Chief of Praeclarus Press, a small press specializing in women’s health. She is Editor-in-Chief of two peer-reviewed journals: Clinical Lactation and Psychological Trauma. She is Fellow of the American Psychological Association in Health and Trauma Psychology, Past President of the APA Division of Trauma Psychology, and a member of the Board for the Advancement of Psychology in the Public Interest. Dr. Kendall-Tackett specializes in women’s-health research including breastfeeding, depression, trauma, and health psychology, and has won many awards for her work including the 2016 Outstanding Service to the Field of Trauma Psychology from the American Psychological Association’s Division 56. Part of my current work involves trauma informed advocacy and training within multiple child and family programs. I’ll be passing this along to maternal mental health specialists. Thanks!